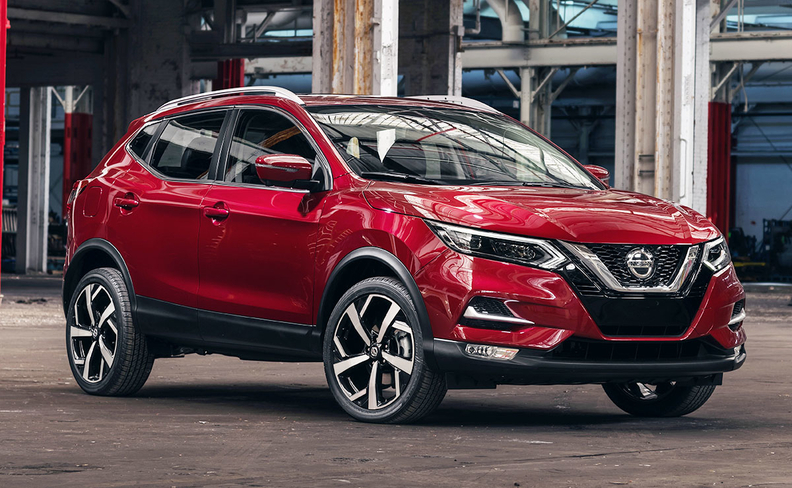 CHICAGO — The Nissan Rogue Sport crossover will get a face-lift and additional technologies typically found in higher-end vehicles when it comes to showrooms this fall. The 2020 Rogue Sport, unveiled last week at the Chicago Auto Show, receives new front-end styling, an updated interior, more standard safety technology, an improved audio system and semi-autonomous driving technology. Most prominent among the updates are a new front fascia, hood, Vmotion grille and bumper. The lighting treatment includes LED signature daytime running lights. Nissan's Safety Shield 360, now offered on SV and SL trims, will be standard on all 2020 Rogue Sport models. The safety tech suite includes automatic emergency braking with pedestrian detection, rear automatic braking, lane-departure warning and blind-spot warning. The 2020 Rogue Sport will offer Nissan's semi-autonomous technology as an option. ProPilot Assist is a single-lane, "hands-on" driving-assistance feature that reduces driver workload by decreasing the amount of driver acceleration, steering and braking input under certain conditions. The 2020 Rogue Sport is evidence of safety and other technologies once reserved for higher-end models trickling down through the lineup, Scott Shirley, chief marketing manager for Nissan North America, told Automotive News. "For Nissan, it's not about the features and the technology. It's about the accessibility to as many consumers as we can bring it to," Shirley said. "Rogue Sport fits that particular need for people who aren't quite into the family stage, but they still want a lot of the capabilities that a crossover vehicle has to offer." U.S. Rogue sales rose 2.1 percent last year to 412,110. It is Nissan's best-selling nameplate and America's No. 2-selling crossover. Nearly a third of Nissan vehicles sold last year were Rogues, and the nameplate accounted for more than half of Nissan brand's light trucks sold. Although the Rogue Sport is based on the same global platform as the Rogue, it is a different vehicle. It is slightly smaller, with a different engine, unique handling characteristics and a separate target market. The 2020 Rogue Sport will be powered by a 2.0-liter four-cylinder engine that delivers 141 hp. It will be available in front- and all-wheel drive and in three trim levels: S, SV and SL.